The wreath workshop on 3rd December is now full so I've added a second date. 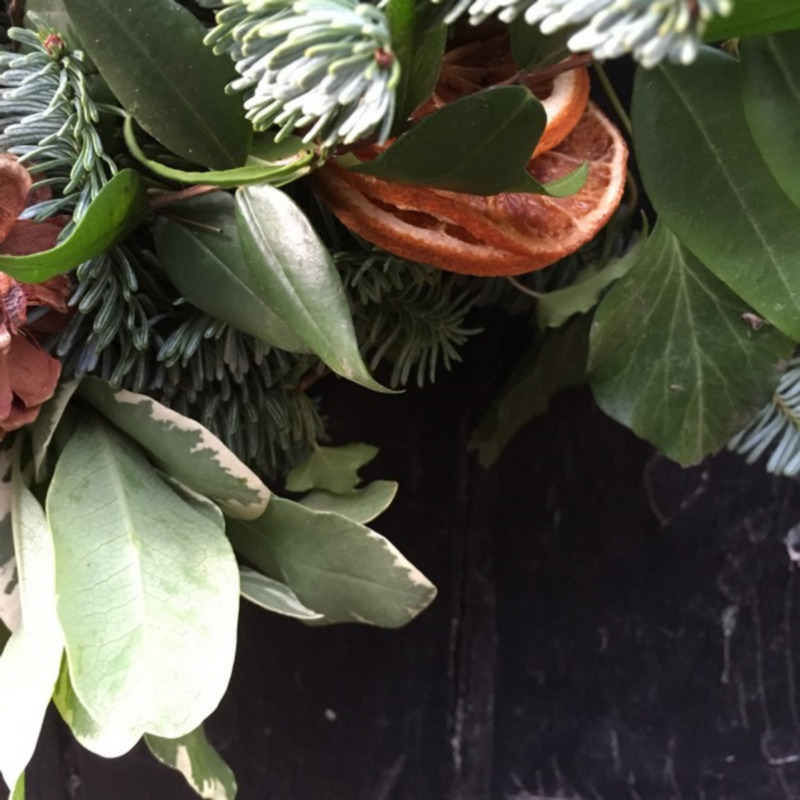 Get seriously festive at this winter wreath workshop. I'll be showing you how to make a wreath for your door, using natural materials and foliage foraged from the woods. Create your own design using evergreens, dried flowers, seed pods and pine cones and soak up the festive atmosphere by the fire in the cafe. Cost per person £30 which includes a drink from the Wild Bar. To book email me roberta@thegoodflorist.co.uk or call me on 07816 873138. I have just announced my wreath workshop dates for 2017. Have a look at what my winter workshops are like. Sign up to receive workshop dates and other news.